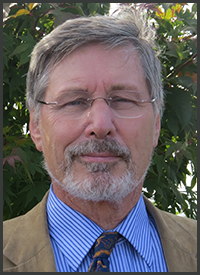 Bessel van der Kolk, M.D., NY Times bestselling author of The Body Keeps the Score, is world-renowned for his skill and effectiveness in connecting the two worlds of research and clinical practice — to improve treatment outcomes. 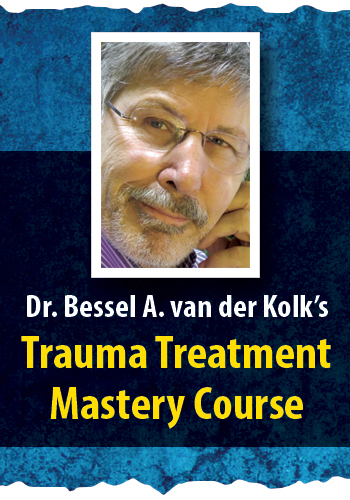 In his all-new, exclusive trauma treatment mastery course, Dr. van der Kolk offers a brilliant synthesis of evolving neuroscience, trauma research and clinical practices that will help you effectively assess, diagnose and treat trauma and attachment disorders. Through engaging sessions with trauma innovators including Dr. Pat Ogden, developer of Sensorimotor Psychotherapy (SP), Dr. Richard Schwartz, originator of Internal Family Systems (IFS), and more, you'll learn about breakthroughs in trauma treatment and today's most effective pathways to healing — to help your clients reclaim ownership of their bodies and their lives. Limited Time Only $299.95 (GST Inclusive) — An Amazing Value! Earn up to 27 CPD Hours included in the course tuition! Plus, enroll today to lock in a limited-time, introductory FREE bonus package. and reclaim ownership of their lives? to feel alive and here in the present moment? Dr. Pat Ogden, a pioneer in the field of somatic therapies, is world-renowned for originating Sensorimotor Psychotherapy. This engaging session highlights the important foundational aspects of sensorimotor psychotherapy and shares body-focused techniques you can use with your clients to regulate traumatic reactions and promote greater healing. Discover the transformative power of IFS directly from its creator, Dr. Richard Schwartz. Through role play, in this session you’ll observe how Dr. Schwartz uses the IFS model in therapy to identify and honor the various “parts” that exist within individuals. You’ll walk away with tips, tricks and resources you can instantly apply in your practice! Hailed as one of the world’s foremost scientists in the field of trauma, dissociation and attachment, Dr. Frank Putnam shares his remarkable research findings during this in-depth interview. You’ll hear first-hand about his extensive, revealing studies on sexual abuse, transgenerational trauma, and dissociation and multiple personality disorders (DID), and gain a wealth of insight that will immediately inform your trauma treatment. Join author and world-renowned expert, Dr. Onno van der Hart, for a captivating exploration of the history, recognition, assessment and effective treatment of dissociation and trauma. Case studies are used to illustrate the reality of dissociation, clinical presentation, and the challenges of treatment. Lock in these FREE Bonuses — A $259 Value! Lock in this free bonus workshop with Deany Laliotis, LICSW, and explore how the effective, evidence-based EMDR approach can be integrated into your practice to treat a wide range of clinical issues from single traumatic events to relationship problems, self-esteem issues, and complex trauma. Dr. Edward Z. Tronick, world class researcher and teacher, reveals how the dynamics of infant-parent emotional and social interactions impact neurobiological and social-emotional development as well as intra and inter-relationships during this engaging free bonus session. Like every drug or technology that has therapeutic value, MDMA and psychedelics have potential risks and benefits. In this free bonus session, Dr. Michael Mithoefer and Dr. Richard Schwartz discuss recent and current studies on MDMA-assisted psychotherapy to enhance and improve the treatment response for Posttraumatic Stress Disorder (PTSD). In the emerging field of sports-based stabilization, practitioners are discovering ways in which sport can be shaped into a therapeutic modality effective in healing trauma. During this engaging free bonus session, Lou Bergholz will explore the key elements of the sports-based stabilization framework and benefits that structure, competition, skill building, physical movement, interaction and communication have in promoting healing. Register for this engaging and experiential online course without risk. If you're not completely satisfied, contact us at courses@pesi.com. We're that confident that you'll find this learning experience to be all that's promised and more than you expected. Learning that Fits YOUR Schedule! Over 27 hours of video training on the neuroscience, research and treatment of trauma, featuring Dr. Bessel A. van der Kolk and select leading trauma experts. Review all the course materials and bonus materials at your own pace and at your convenience! Watch your email for the order confirmation and link to get immediate access to all course videos and materials online, and you can download the materials to keep forever. Plus, use the CE21 Mobile™ app to access the course content on-the-go, wherever and whenever you want on your mobile devices. You'll have the opportunity to instantly collaborate with other professionals on the course materials through interactive message boards. Become part of a community of trauma practitioners all focused on these materials, providing valuable opportunities to share insight and experiences and to build your professional network. Complete your online CPD tests and earn up to 27 CPD Hours! Bessel A. van der Kolk, M.D., is a clinician, researcher and teacher in the area of posttraumatic stress. His work integrates developmental, neurobiological, psychodynamic and interpersonal aspects of the impact of trauma and its treatment. His most recent 2014 New York Times best seller, The Body Keeps the Score: Brain, Mind, and Body in the Treatment of Trauma transforms our understanding of traumatic stress, revealing how it literally rearranges the brain’s wiring—specifically areas dedicated to pleasure, engagement, control, and trust. He shows how these areas can be reactivated through innovative treatments including neurofeedback, somatically based therapies, EMDR, psychodrama, play, yoga, and other therapies. Click Here to view the bios for the other experts featured in the course.